A new amiibo tie-in title is coming to both the Wii U and 3DS, paying homage to the Mario and Donkey Kong series. Mini Mario and Friends amiibo Challenge is a free game available on the eShop and is compatible with select amiibo figures, mostly from the Super Mario series. With over 60 levels, you will guide one of 11 minis corresponding to your amiibo of choice through challenges and puzzles. 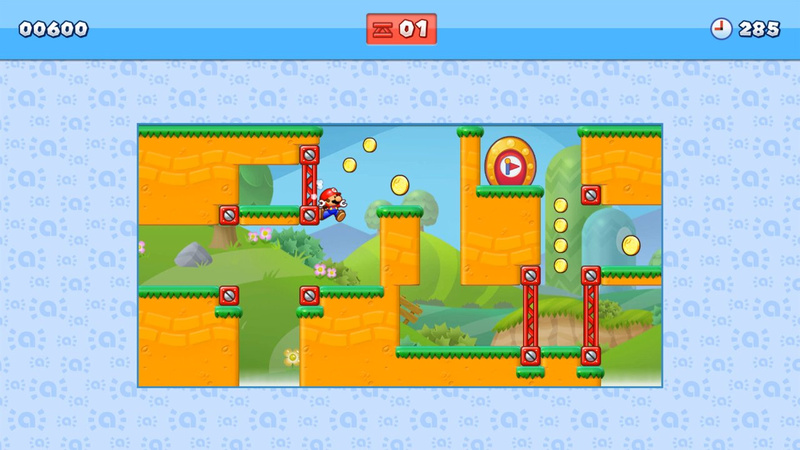 In addition, specific figures will unlock exclusive levels and abilities, such as Mario's wall jump or Yoshi eating enemies. The game will be available in North America beginning on March 25th at select retailers - including Amazon, Best Buy and GameStop - as a download code with the purchase of any amiibo figure. Later, on April 28th, it will be available as a free download on the Nintendo eShop. Great this and SNES on new 3ds glad I got a new 3ds instead of a ps3. I wish they would have made cute toy versions of other Nintendo characters, but this is pretty cool. I have most of the mario characters except for Peach and Diddy, so I'll bite! This was not in the Europe Direct at all. I'd imagine it'll arrive in Europe eventually, but it could be a long wait. I don't remember this being announced for the EU. I can wait though. @crimsontadpoles You beat me to it! I think it'll be released quietly in Europe/Australia without the retail promotion. Subspace Emissary this ain't. It is starting to get interesting. Sort of a free game with amiibo promotion at least for awhile in retail. @aaronsullivan If you want to see Subspace Emmissary 2, go watch the Disney Ininity Direct. Good to know I wont have to buy the figures and then pay to unlock the DLC figures. No, this isn't great, but I'm slowly coming to terms with Nintendo. They went hard on 3DS today, Wii U had some early games. Paper Mario looked great, but really, it isn't anything that hasn't already been done on 3DS. Both my kids, 1 watching live, 1 after dinner, said it looked just like Sticker Star. And my wife said SFZ was ugly and empty. So if the best Nintendo has for $60 paid Wii U games is Mario Tennis, AC:aF, Paper Mario - well, what can we expect of their lower tier franchisrs. And it is free. The last one was free on one if we bought it on the other for $20. So this might be an insult to those people who paid. So anyway, Nintendo is a handheld focused company, so many games on both - HWL, Paper Mario - MH was on Wii, only a port on WiiU. This is the second mini-game on both. There really might not be a Skylanders game. amiibo:SNAP! maybe. Oh, Olympic game on both also. Why make 2 versions? And why go after PS4 in the home, just ask MS how that is going. NX, TV out. Lots of games on mobile. XC was on 3DS, Nintendo doesn't need a home console. I've been saying that for years, seems like they may finally be listening to me. This game is fine, it's what Nintendo does. oh, funny thing, we own 4 amiibo for this game, green yarn Yoshi, silver Mario, DK and Bowser from Skylanders. ...So...I don't need to get tipping stars then? Do you need to have at least 1 amiibo to play any of this? I don't know if anybody else feels this way, but I couldn't help but notice the use of the Donkey Kong theme when DK hinself is not in the title. I always loved these Mario vs DK games, especially Tipping Stars. Woo! I've got half of them to use with this! @Radbot42 It was kinda 'meh' when I saw him up close in store. Not the best. @OorWullie im gonna say yes you do. Wish it used more amiibo. The lack of Wario is disappointing, but I am pleased they included Yoshi, Bowser and Diddy. 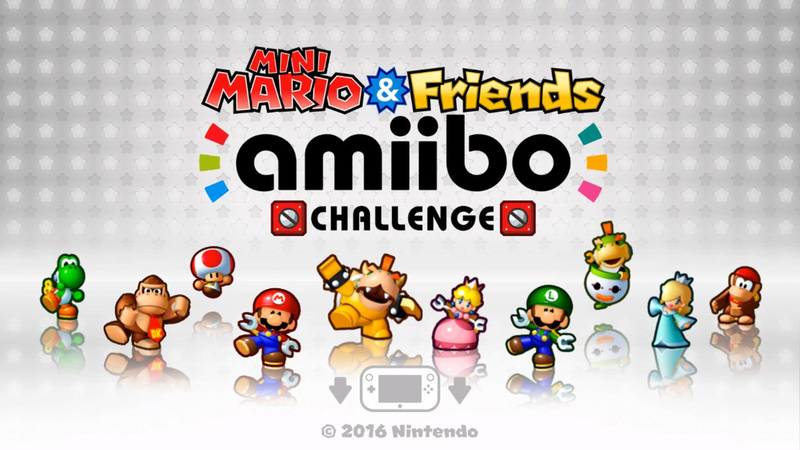 Hey, why isn't Europe getting Mini Mario and Friends amiibo Challenge? @NintyMm an Any Mario amiibo will unlock mini Mario, including the 2 for SMM, the Smash one and the Dr., as well as the normal and gold Super Mario Range. Only the Silver once doesn't seem to be compatible in the Japanese version (as the silver has not been released here). So scan you gold Mario, you'll get your mini Mario. I've enjoyed it, only played the Yoshi and Rosalina section though. @OorWullie Yes you do, any non Mario character (including Yoshi, Diddy and DK) will give you this little cube block/robot character named Mini Spec (he has no special abilities), which will only allow you to play the main path levels (about 10 or so). If you use any one of the 10 Mario related characters, it will unlock there own dedicated world which consists of 4 levels each. That gives you a total of 50 levels, but there is supposed to be over 60 levels, so I'd imagine there are some secret levels too. I wonder if my Dr. Mario amiibo is going to work with this one. I need him for Twilight Princess HD. I want to play hard mode Gamecube not hard mode wii version. I already played the wii one 3 times. Really puzzling that there waa no mention of this in the European Direct. I hope it's coming here as well this year.